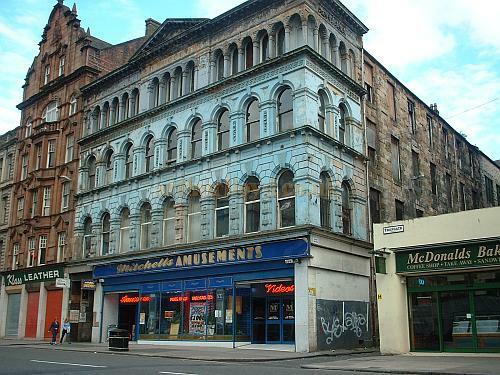 The Britannia Music Hall was designed by the architects Thomas Gildard and H. M. MacFarlane of 160 Hope Street, Glasgow, and constructed within the shell of an old commercial property, with cottages at the rear, which dated back to the 1840s. 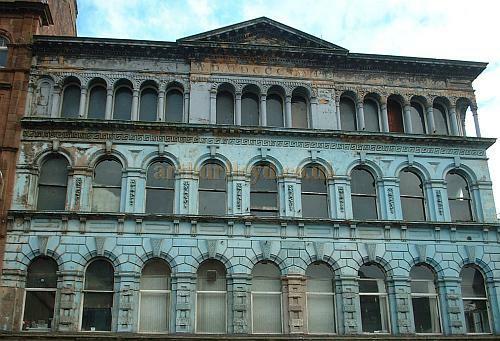 It was opened by its proprietor John Brand as the Britannia Music Hall on Christmas Night, the 25th of December 1859. There was a public house on the ground floor and the Hall itself was situated on the first and second floors. John Brand had taken a ten year lease on the building but was at first refused a licence by Magistrates because he already held a licence for a 'singing saloon' called the Oddfellow's Saloon in Saltmarket, and because neighbours of the Trongate building thought it would lower the value of their properties, but in 1859 the licence was granted. Right - A programme cover for the Britannia Theatre of Varieties - From the excellent Glasgow Story Website - Click to see the programme in detail. The Britannia is today the oldest surviving Music Hall in Glasgow, and one of the few remaining true Music Hall buildings left in Britain. The Britannia was also one of the first Theatres in Glasgow to show silent films, in 1897. In 1903 the Hall closed down for three years but then reopened on the 9th of July 1906 and was renamed the Britannia and Grand Panopticon when it was bought by A. E. Pickard. Pickard staged all manor of entertainments in the building until 1938, including Music Hall, Cinema (as the Tron Cinema in 1922), Waxworks, Freak Shows, and even a Zoo. And on Friday nights amateurs would try their luck at the Britannia, including a then unknown Stan Laurel who went on to become part of the famous comedy duo Laurel and Hardy. The Theatre closed in 1938 and that could have been the end of it. 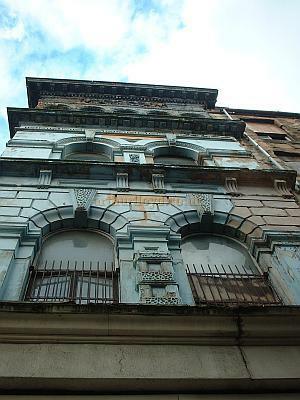 The ground floor of the building was put to various uses over the next six decades but remarkably the higher floors were left deserted and forgotten until it was eventually rediscovered as one of Britain's last remaining Music Halls. Above - The Balcony of the Britannia Music Hall in its current condition - Photograph by Euan Adamson, Courtesy Judith Bowers, Britannia Music Hall. Since then there have been many attempts to raise funds for its renovation, including, sadly, a failed attempt in the BBC's excellent 'Restoration' programme. However, in August 2009 work was completed on the restoration of the frontage of the building which can be seen in the photographs above. 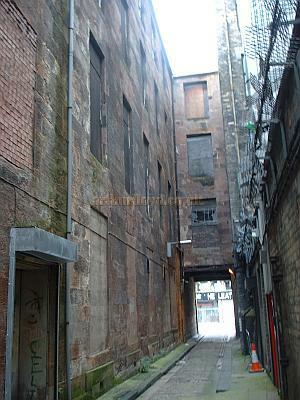 You may like to compare the restored frontage with how it looked in 2003 below. The restoration took almost a year and was carried out under the direction of the conservation architect Keith Hamilton of B3 Architects, with the major Stone Masonry work being carried out by CBC Stone, and the Putti figures by the sculptor Jez Ainsworth. 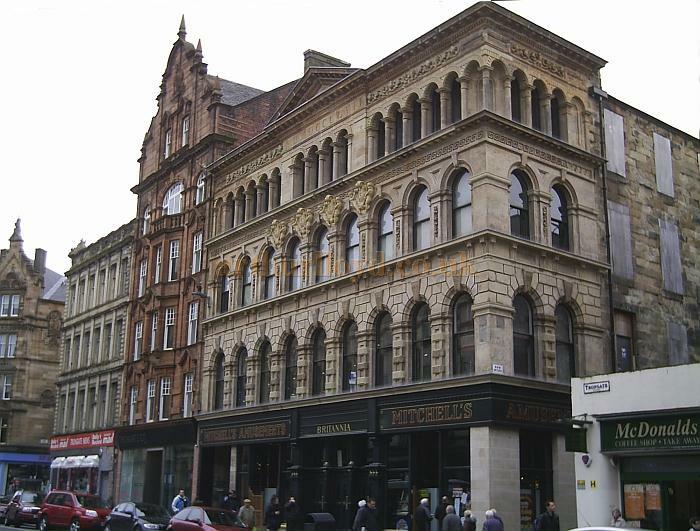 The restoration of the frontage of the former Music Hall cost £900,000 and was funded by Historic Scotland, Merchant City Townscape Heritage Initiative, and the Mitchell Family, who were the former owners of the building. 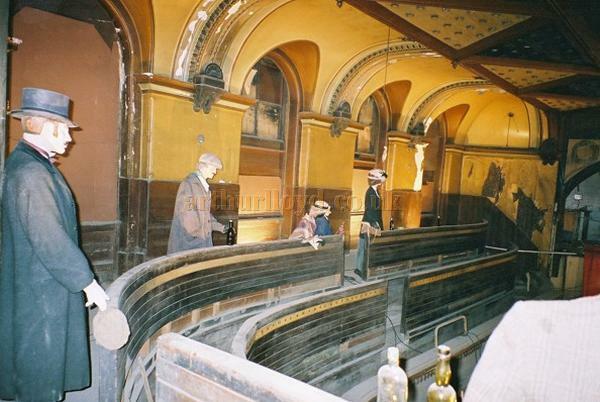 Above - The interior of the Britannia Music Hall, Glasgow showing part of its horse-shoe shaped gallery and stage in 2004 - Courtesy Roger Fox. The next stage of the restoration of the building is to remove the glass shop front below the main body of the Hall and to replace it with something more in keeping with this historic building. The interior of the old Music Hall is a restoration still waiting to happen. You may like to visit the Britannia's own Website here. Arthur Lloyd is known to have performed at the Britannia Music Hall in 1879 and 1894. If you have any more information of images for the Britannia that you are willing to share then please Contact me. Above - The Britannia Music Hall, Glasgow in 2003 - Photo M.L. 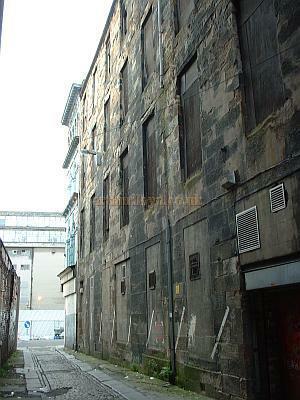 Above - The exterior of the Britannia Music Hall, Glasgow in 2003 - Photo M.L. 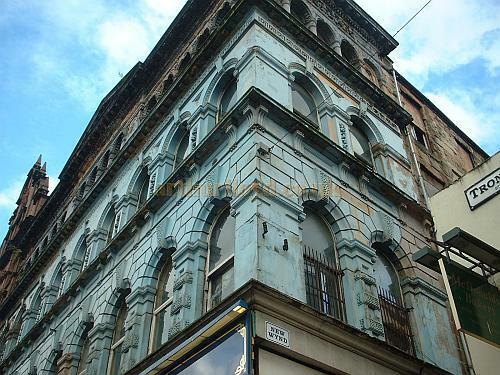 Above - Side elevations of the Britannia Music Hall, Glasgow in 2003 - Photo M.L. 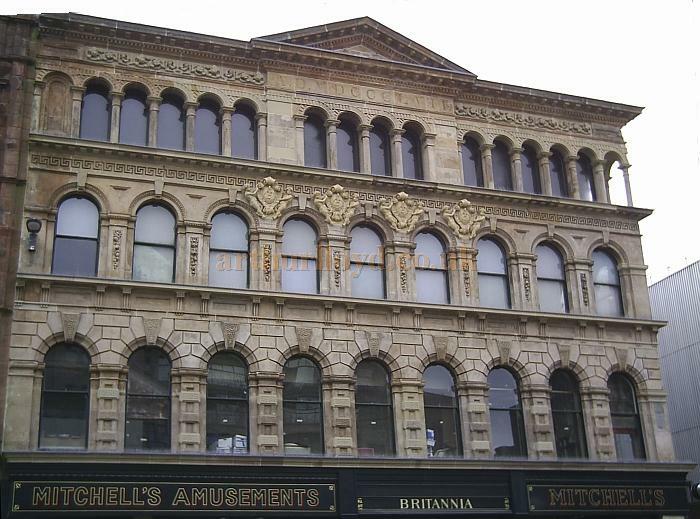 Above - Photographs of the exterior of the Britannia Music Hall in 2003 - Photos M.L.